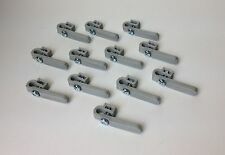 These are brackets of my own design for adding extra shelves to the IKEA DETOLF display case. You really need more shelves, I find the perfect balance is three more shelves that divide each shelf space in half and one shelf full height for big monsters and terrain. INDUSTRIAL STYLE CABINET. Grey in colour with an embossed design on top. Handmade Shabby Chic Farmhouse Chippy Distressed Grey Small Cupboard . Condition is New. Dispatched with Royal Mail 2nd Class. Part of Estilo's grey nautical bathroom storage range. 3 drawer unit with rope handles. This item is new. 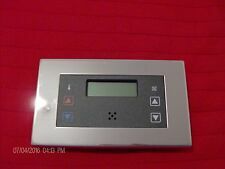 It has been checked and tested before being put up for sale and the item is in good working order. With this floor mounted two door unit from our Downton collection, this practicality isn’t at the expense of style. It is a perfect solution for cloakrooms, ensuites or bathrooms that works excellently when going for a traditional, classic, period look. Drawers are really deep and close perfectly, Stencil on. Perfectly looked for a child's room, small bedroom or a nursery. Knobs painted in blue. Beautiful piece of handmade furniture. Sun - Closed. Sat 11 till 5pm. Working hours. With a Grey Ash finish and full length mirror, the Angelo shoe cabinet is designed to utilize and brighten up small spaces and give a fresh natural look. Helping to de-clutter your porch or organize the shoe collection taking over your bedroom. Get 10% Off using coupon code: PRO10 at checkout! This retro style cabinet would look good in any room or office. Colour: Distressed black grey. Style: Retro industrial. A small amount of Assembly is required to the legs but only takes minuets and all screws provided. ALL RIGHT RESERVED. Grey Bathroom Storage Cabinet is perfect for your modern or traditional decor. It has double door with internal adjustable shelf to ensure ample storage for all your bathroom essentials. Features 2 louvre style doors and 2 drawers. Grey/dull silver retro industrial style cabinet. INDUSTRIAL STYLE CABINET. Would make an ideal drinks cabinet as the top is perfect height to pour drinks on. Grey retro industrial style cabinet. Features 2 doors and 3 basket type drawers that have a slight retro feel to them. INDUSTRIAL STYLE CABINET. This cabinet is useful for storing all sorts of things. The Baltic Bathroom Vanity Unit with Mirror is the perfect addition to your bathroom. This Baltic Under Basin Unit includes Utilise the space under the bathroom basin with this convenient Bathroom Vanity Unit. It can be used to adjust the temperature setpoint and fan speed selection in Fan Coil Applications or comfort conditions in Natural Ventilation and other HVAC applications. 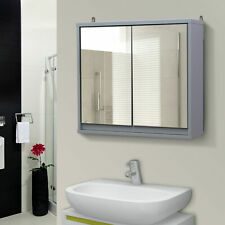 · Stylish Grey finish wooden bathroom cabinet with 4 drawers & cupboard. 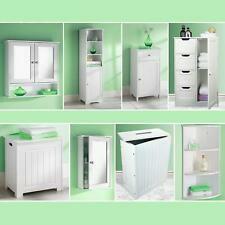 · This 4 drawer 1 door bathroom cabinet is designed to mix function with style perfect for any bathroom. This 4 drawer 1 door cabinet in Grey Is the ideal storage solution for your bathroom, allowing you to keep it clutter free.